To comply with legal regulations and local context and to create an opening investment environment for investors, in 2016, the Binh Phuoc Provincial People’s Committee issued Decision 01/2016/QD-UBND in place of Decision 40/2013/QD-UBND on investment incentive policy in Binh Phuoc province. 1. 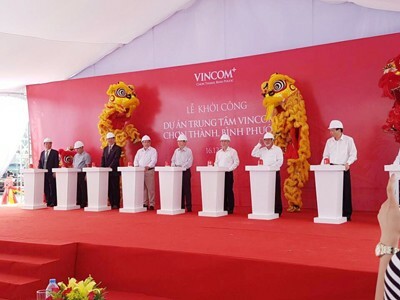 Investment locations: According to previous regulations, nine districts and towns are subject to investment incentives, including Loc Ninh, Bu Dang, Bu Dop, Chon Thanh, Hon Quan, Bu Gia Map, Dong Phu, Binh Long and Phuoc Long. The new decision added Phu Rieng district to the list of localities applicable to investment incentives. To date, 10 out of 11 districts and towns are applicable to investment incentives (except for Dong Xoai Town) and five districts are entitled to special incentives, including Loc Ninh, Bu Dang, Bu Dop, Bu Gia Map and Phu Rieng. In addition, industrial zones established under Prime Minister’s decisions are also entitled investment incentives. 2. Investment fields: Old regulations did not provide a list of agricultural and rural sectors subjected to investment incentives. The new decision adds the list of agricultural and rural investment fields. 3. The decision has a chapter on socialisation stimulation and incentivisation. In particular, in addition to general investment incentive policies, socialised investment will also enjoy better land tax incentives than in the old ruling. The highest level is lifetime land-rent exemption. The lowest level is the 10-year exemption of land rents applicable to investment projects in urban areas. 4. Agricultural and rural investment projects are subject to better tax incentives than the old ones. The highest level is free of all land rents. The lowest is an 11-year exemption of land rents. Investment projects are also provided infrastructure investment. 5. To attract more investors and enhance its ability to tackle emerging issues, the Provincial People’s Committee has added other supports for investment projects such as supporting three-year advertising (within VND12 million a year), providing information and free legal consultancies on investment and business procedures, supporting investment, trade and tourism promotion, supporting personnel training. 6. One-placed single-window for administrative procedures: All investment and business administrative procedures are handled at the Department of Planning and Investment or the Economic Zones Authority of Binh Phuoc. This is the most remarkable new feature. For example, the time of setting investment administrative procedures for projects inside and outside industrial zones has been dramatically shortened to at most a third stipulated by the law.